Want to learn more about the horses I write about day in and day out? Read on! Cold Gone Hot (aka Tiny) is my 2018 RRP mount! Tiny was adopted from New Vocations in August 2017. After months of down time so that he could grow up both mentally and physically (he’s a whopping 17.2 hands! ), he is now in consistent training and deciding what he wants to do in life! Hot Java was my 2017 RRP mount. Meant to be a sales horse, Java totally stole my heart throughout the training process. She competed in the Show Jumper division at RRP, but rocked around her first three-phase event just a few weeks later, where she came in 3rd! Against my husband’s wishes she is hanging around and we have our sights set on some recognized events this year. Lou was purchased in May 2015 from his breeder/trainer as an upper level eventing prospect. While he has talent to spare, he is a difficult and opinionated ride. Although we have not reached some of the goals I had originally set for him, Lou has helped me to grow as a rider and trainer. 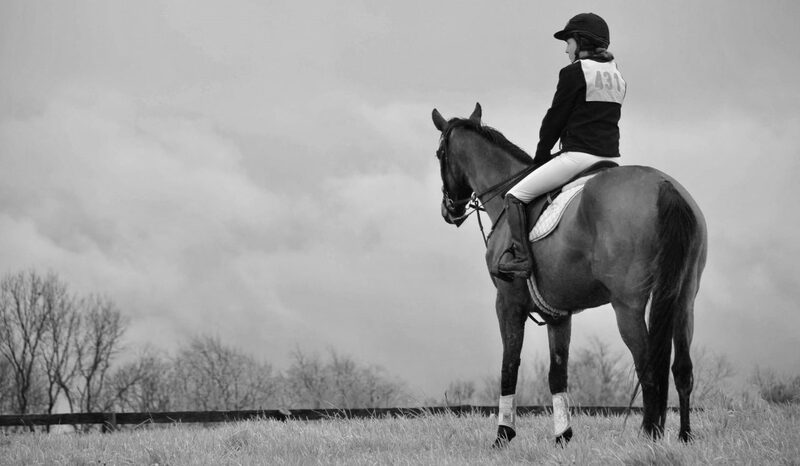 We are currently mastering the art of Dressage and hoping to show competitively this year! Don’t Jinx It was my very first pony. Gifted to me by my trainer, Jinx was always a bit too difficult to use in the lesson program and somehow we just clicked! He always made me work for the ride but taught me a lot about training. Together, we brought home ribbons in Dressage and Eventing. Now he’s retired and the grumpy old man of the farm! Rebel Annie was my RRP horse back in 2016. She is the sweetest soul and made me fall in love with OTTBs again! Putting the red-headed mare stereotype to shame, Rebel carried me through my very first RRP in the Field Hunter division – something I had never tried! She is now loving life with her new owner in North Carolina!